If you are interested in recording gaming content, you are 100% aware of how difficult this can be. This is especially the case when referring to recording online games because of the fact that more computer resources are needed in order to record at a suitable quality. When referring to suitable quality, you want to record at one that is as high as possible. This is true for any possible reason you may have from streaming to creating YouTube highlight clips. There are numerous options that are available right now but if you want to increase gaming recording quality, there are some things that few people actually consider. The game capture card is very useful since it can free up computer resources while recording at a very high video quality. A huge advantage stands in the fact that this computer hardware allows you to perfectly record video coming from gaming consoles. You can set it up to record your Xbox play while the computer is used to record yourself and save the video. You want to consider screen recorder Windows 10 software since this allows you to get a video of exactly what you see on your screen. One thing that you might not know about regular game recording software is that it is going to normally record at a lower video quality in the event your video card is not as good as it should be. 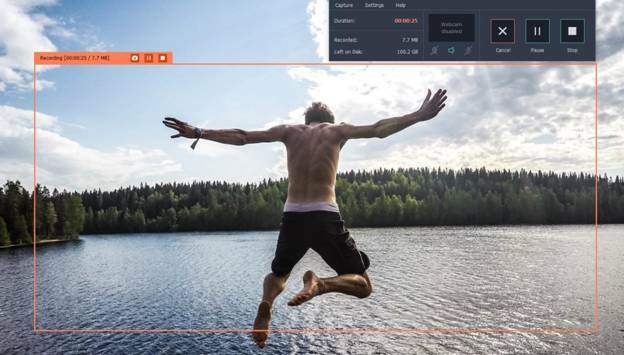 As you use a screen recorder like Movavi Screen Recorder Studio, what you see and what you hear is exactly what you get. Screen recording software can also be really useful if you just want to download tutorials or Skype conversations. In fact, the software is always appreciated by those that are involved in business and need to often work with overseas employees. Always be sure that you record gaming content at a very high quality since this is what people want to see. There is this belief that it does not matter as long as you are good at the game but such a belief is wrong. ← Why Are Team Uniforms So Important?